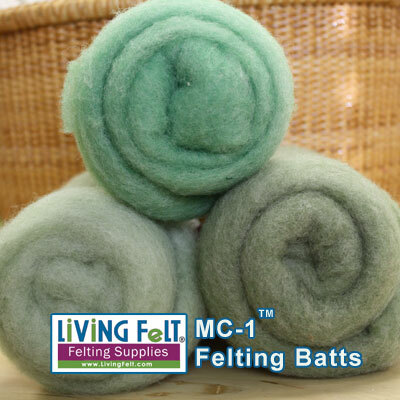 LIVING FELT BRAND MC-1™ Merino Cross Batts were specially developed by us for superior felting using both needle felting and wet felting techniques. 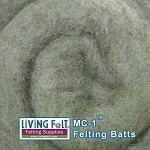 The color variations will give you many shades for the detail and realism you desire in your creations. 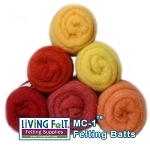 We know you will love them! BIO-PROCESSED and washed. 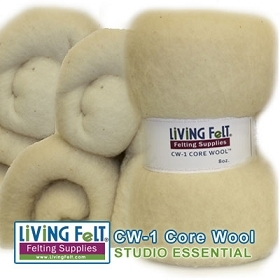 This Living Felt wool was processed and washed using a bio-degradable Eco-Friendly GREEN soap and green process. NO chemicals used. 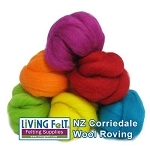 Small amounts of vegetable matter in the wool is common and to be expected.